"UNLOCKING THE BEAUTY OF VERMONT HARDWOODS"
What better way of making a stunning statement in the entryway of your home or adding a beautiful and useful centerpiece to your walls than by adding one of our gorgeous Peg Racks to your decor? All Peg Racks are about 1" thick unless otherwise noted. Hardwood pegs are tenoned into the rack for a very strong connection. Drilled holes provide for securing the rack to studs in the wall, or with a toggle bolt or other connector. 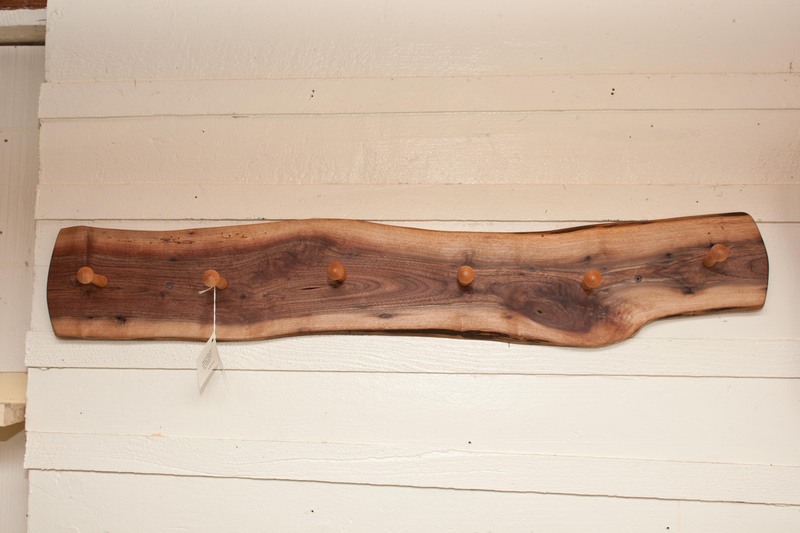 We also custom make Peg Racks in a variety of other woods, with the option of metal hooks instead of wooden pegs. Contact us for more information!